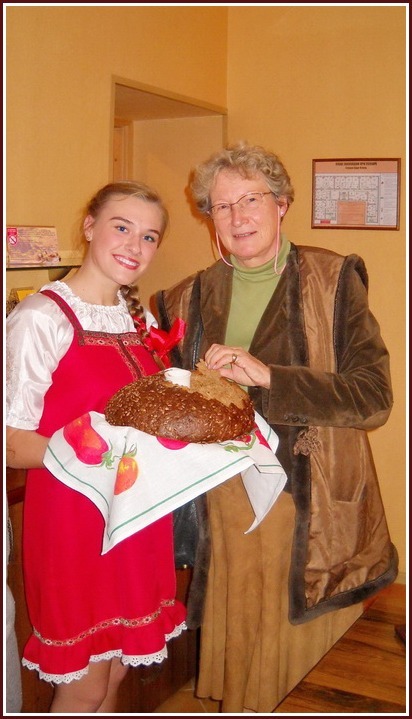 For Clotilda and her guests was organized traditional Russian tea with pancakes and the Russian samovar. The countess always had special feeling in relation to Russian traditions and has been extremely touched by such hearty welcome. The love To Russia and enthusiasm for Russian traditions expressed in the titled person not casually. The countess - the special guest of Charitable Pushkin ball. In her, nee countess Fon Merenberg, Russian history was weaved in especially image, Clotilda - the descendant at once two best known surnames for Russian history - and, Pushkin, and crowned Romanov’s. The important fact is that Clotilda fon Rintelen has got world fame because of keen employment by charity, the titled person showed special attention in relation to Russia. It has started to help Aleksandrovsky hospital with 1991, then carried the equipment to Peterhof, supported children’s homes. For 18 years of acquaintance to Russia created by the countess «the help Union» has collected already millions dollars. At the end of charitable mission at St.-Petersburg the countess left hotel, having wrote some warm words in the guest book of hotel and promised that in the following visit to Russia she will stop in Herzen House Hotel.